Dr. Graeme Whyte is a multinational, multiple fellowship trained orthopaedic surgeon who specializes in sports medicine, joint preservation, and cartilage repair. Dr. Whyte has a faculty appointment at Cornell University, Weill Medical College, and his primary practice is based out of New York City. He is on the scientific committee of the Orthopaedic Arthroscopic Surgery International (OASI) Bioresearch Foundation. Dr. Whyte completed his first advanced subspecialty fellowship at NYU Hospital for Joint Diseases, New York, specializing in sports medicine, and his second fellowship at the Hospital for Special Surgery, New York, specializing in hip arthroscopy and hip preservation. Subsequently, Dr. Whyte completed a clinical research fellowship at the Hospital for Special Surgery, focusing on hip preservation, in addition to fellowship training in hip preservation at the Schulthess Klinik, in Zurich, Switzerland, and cartilage repair of the knee at the OASI Bioresearch Foundation, in Milan, Italy. 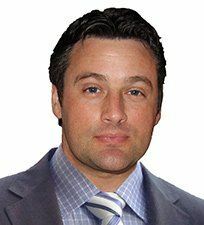 Dr. Whyte has served as assistant team physician for the New York Rangers of the NHL, and NCAA Division I athletics. Prior to fellowship training, Dr. Whyte graduated from medical school at the University of Western Ontario, London, Canada, and completed residency in orthopaedic surgery at Queen’s University, Kingston, Canada. During university training, Dr. Whyte competed in both varsity rugby and varsity soccer, and set Canadian national records in team varsity medals won and varsity seasons played, in addition to winning numerous championships and awards, while competing in Ontario University Athletics. Clinical expertise and research interests include operative treatment of hip femoroacetabular impingement and hip dysplasia, utilizing techniques ranging from hip arthroscopy to periacetabular osteotomy and surgical dislocation of the hip. Arthroscopic capabilities extend to complex primary and revision procedures, including arthroscopic labral repair, as well as complete and partial arthroscopic labral transplantation. Dr. Whyte is also focused on complex arthroscopic and open knee surgery, treating cartilage defects, meniscal injury, ligament injury (ACL/PCL/multiligament), and bony malalignment. He has experience in autologous chondrocyte implantation, meniscal transplantation, and scaffold-associated stem cell cartilage repair. Expertise in shoulder surgery includes arthroscopic treatment of instability, rotator cuff tears, and cartilage injury. The combination of extensive fellowship training and personal experience in elite sporting competition have given Dr. Whyte a valuable perspective on athletics and the needs of the athlete, from recreational to professional. Dr. Whyte is committed to providing the most advanced procedures available to treat active patients with injuries of the hip, knee, and shoulder. Dr. Whyte is specifically focused on joint preservation procedures, which are a priority in cases of athletes wishing to return to their pre-injury level of activity.